A glimpse of India in black and white. Lord Ganesha during Ganesh Chaturti festival. 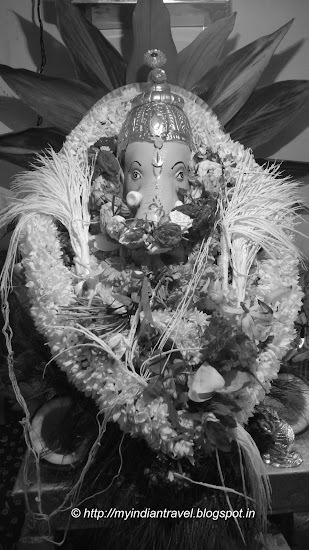 The all powerful all encompassing and compassionate Ganesha ! As duas fotos estão super lindas!!! A fine photo of a very attractive sculpture. Beautiful :) Loved the flower mala. Beautiful images, each version brings out different details!